As we grow we will be establishing links to our vendor partners. Please take the time to visit their websites and review their products and services. 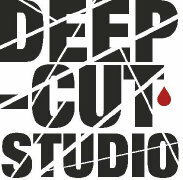 Deep-Cut Studio is an artisan studio manufacturing miniature, RPG and tabletop games accessories. Our main focus is gaming mats for various miniature games. We also provide a wide array of services: starting with graphic design and drawings, ending with manufacturing and packaging. Area of expertise – gaming mats, laser-cut scenery and buildings, tokens, templates, cards and other games accessories. Joerg Bender started his business in the second half of 2015. “Buildings on A Budget” is his first range of laser-cut buildings and terrain pieces for 28mm miniatures. Have a look at the just released kits of his first series “The Legend of Riverfield”, suitable for any Fantasy or Medieval setting or the very sought after “Inspired by Frostgrave” items. All kits are highly detailed, featuring precisely laser-cut parts and engravings. Due to the layered building technique you will get a very realistic look once the kits are finished. Materials used are plywood, chipboard, laserboard, cardboard or whatever else is needed to achieve great looking results. Extra parts like pieces of chain, yarn, wooden barrels etc. are provided if necessary for the completion of the kits.